aura joon: Life began when I saw your face. Life began when I saw your face. Please meet Miss Elodie, born March 29th at 11:20am. Friends, I will tell you all about it, soon. For now, there are not enough minutes in the day to peel me away. how beautiful. can not wait to hear her story! i recall your grpa saying she would have a lot of hair? congratulations michael and aura! Beautiful! Enjoy this precious time and emotions. Welcome sweetie! such a sweet little girl!! hugs to your family of 3!! Congratulations sweetie! You are going to be an amaaaazing mommy! Enjoy every little moment! she is so so beautiful!! congratulations!!! she is amazing!!!! i love her!!!! The love and joy keeps growing. There is nothing greater! I am so excited to watch you through your greatest adventure yet. Much love to you, M, and sweet baby Elle! Oh my heavens. She is simply precious! & I'm in love with all over her dark hair! Can't wait to hear more & see more her! Congratulations Momma & Daddy! She is absolutely gorgeous. I am so happy for your family, and cannot wait to hear about her debut. Oh Aura, congratulations to you and your family <3 She is beautiful! What a wonderful blog to wake up to this morning. She is an angel. Your photographs of her are amazing and she is beautiful! She is perfect! And when you crave human contact and a moment "away" I hope you will tell us her story. I love the name choice. It's beautiful and sophisticated. Just like her Mama. Congratulations Aura and Michael. She's perfect :) And a very lucky girl for having you as mommy. Elodie is a beautiful name. Much love to you all. My heart just exploded with joy at these pictures- at realizing they announced the arrival of your beautiful daughter. Congratulations, Mama!She is gorgeous. And her name is like sweet music. Hope you are feeling well. Keep yourself wrapped in these moments with her. They go by so swiftly. I am looking across the room at my 14 year old and 14 month old now. She is breathtaking; congratulations to your family. Her name is beautiful, too. I took a class with an Elodie & she was a gem. Dear Aura and Michael congratulations....enjoy every single moment with your darling daughter. This brings back such happy memories of when our darling Hannah was born, looking just as gorgeous as your beautiful Elodie with deep black hair like her baba and blue eyes like mine. She's in her final year at University now and the days inbetween have flown by so quickly like speedy little birds. Never apologies for time spent with your gorgeous Elodie, they are very very precious. WOW- Auro, Congrats! She is such a sweet little bundle. Love it so much. What a joy. Oh my, she is delish! Those toes, oh how I love baby feet. I see that little band aid on it too. She is beautiful... and that hair. Breathe in all that baby breath Mama. Good Job Mama & Papa, especially Mama. :) SO happy for you and your family of now 3. Much love and happiness to you and YOUR little joon! She is darling. I am a long-term lurker but that sweet little bundle makes me just want to sing with happy happy and pass on all the best wishes in the world. That is a beautiful baby girl. I am so happy for you and your family! SHE is beautiful! 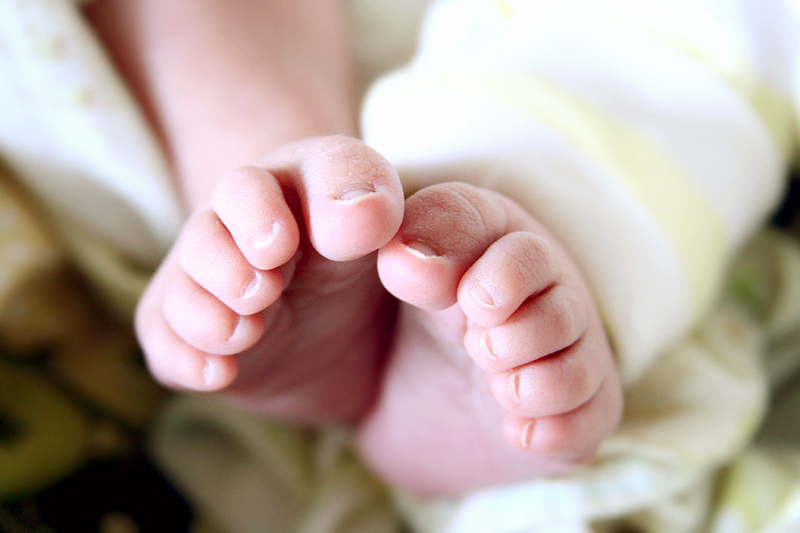 I can't believe all that hair... Can't wait to read about your experience w/labor... Love the photo of her toes!. CONGRATS!!! She's so beautiful and lovely - as is her pretty name. AND my little guy just turned two on March 29th, so it has a special little place in my heart:) Enjoy your new sweet one! OH Aura!!! She's breathtaking. Congratulations. Beautiful just doesn't do her justice. Congratulations. She is a precious little one. Your photos are gorgeous. Oh, my God, Aura! she is so beautiful and it´s so nice seeing her after following the adventure of your pregnancy..CONGRATS!!!! She is so beautiful! Congrats! She is simply beautiful. I have chills thinking about the happiness you are feeling right now. Congratualtions! Congratulations Mama!!! She is beautiful! Now that I'm done blotting tears...congratulations...she is truly beautiful!! Well done! I just got an email of pics of my next grandbaby...who is being coy and won't yet let us know if they are a boy or a girl!! Anna is still refusing to join us out here....yet! Congratulations on your beautiful daughter and thank you for taking a few moments to share! i just found your blog 2 days ago, and am so happy i found it when i did! congratulations, mama and daddy!! Congratulations!! What a beatiful little lady! And the Name fits her perfectly! Congratulations Aura! She's beautiful and I can't wait to hear your birth story. Congratulations! She is beautiful. I remember when my 1st daughter was born...it was the happiest day of my life. I hope you share your birth story...I love hearing those! The miracle of birth is awesome. oh my gosh she is gorgeous! and I love her name! Congratulations Mama! Congratulations. She is so precious. I melted. She is gorgeous, but I had no doubt that would be the case since she was coming from her mama (& dad too). So happy for you! Enjoy getting to know your little one! I love the shot of her feet! She is gorgeous! Congratulations!!! oh, look at all that gorgeous hair!! she's adorable, so peaceful. we'll all wait patiently to hear more stories and see more photos - for now, enjoy those not enough minutes!! Congratulations Aura & Michael! She's beautiful! God bless you guys! Aura she is adorable! The hair! Oh goodness it's beautiful! :) I love the little flower you have put in it. Congratulations to you and Michael on your precious little one! Congratulations! She is beautiful. What a little blessing for you :) Much happiness and endless love for your family! congratulations mama!!! she is absolutely beautiful! all that hair, and she looks so big! not at all like a fresh newborn! the name is beautiful- agree with the other commenter who said it sounds like music. enjoy every minute with her! I knew it. I felt it. Kept checking your page to see whether she'd arrived yet. Beautiful name, beautiful child, beautiful pictures. Enjoy your time with you. We will wait patiently. Can't wait to hear the story. You tell them so wonderfully. Congrats to you and your family on the new addition. absolutely BEAUTIFUL. Congratulations. and enjoy soaking up every moment with as a new family. She is absolutely beautiful. Congratulations to you and Michael. Enjoy because they grow up so fast. Congrats Aura & Michael! She is gorgeous! OH MY GOODNESS!!!!! sweet baby love!! congrats, shes beautiful!!! Awww, congrats!! She's beautiful! I cannot wait to hear the birth story!!! I KNEW she was here :) in my mind. She is beautiful, congratulations! Congratulations! She is absolutely beautiful. she is lovely. a million good wishes. oh Aura. She is so precious!!! So beautiful just like her mom. So happy for you! She is gorgeous! Thank you for sharing her with us and congratulations. Enjoy your new bundle. Nice to meet you, Elodie. I look forward to watching you grow. Congratulations...she is lovely. She is absolutely beautiful! Congratulations!!! What a little sweetheart. You must be so excited at your new life together. Congratulations to you all. I've been reading your blog for quite of bit of time and I have never commented on any of your posts, but this time I wanted to say congratulations! I hope you three continue to grow and enjoy a great road ahead of you. Oh my goodness-what a beauty!! I love her name :) Can't wait to hear all about her arrival. my cousins birthday is the 29th, it is crazy to believe that she is already 15, and no longer my little baby. enjoy every second of it. they grow up fast. she is absolutely beautiful, and she has soooo much hair. She is beautiful; just perfect! You two make cute babies :) Congratulations! She is gorgeous. Beautiful name for a beautiful baby girl. Congratulations!!! Aura, she is stunning. I love picking out the traits of yours and Michael's in her face. Looking forward to hearing more about her arrival, and seeing your photography skills translate to documenting the Little Bird. She's gorgeous Aura! Congratulations!! I can't wait to hear all about her. Congratulations!!!! I've been checking and wondering...she is absolutely beautiful! No big surprise! Enjoy!!! aaaahhhhh! she's so very perfect!!!!!!!!!!!!!!!!!!!!!!!!!!!!!!!!!!!!!!!!!!!!!!!!! *squeal! * Look at all that beautiful, dark hair!! Absolutely gorgeous...I just want to scoop her up and take her home!! Congratulations on the birth of your stunning daughter!! Congratulations! She is so incredibly beautiful and blessed to have such wonderful parents. I can not wait to hear the story of her arrival! Congratulations! You have a beautiful family, she is precious, and look at all that hair! Congratulations on your beautiful baby girl!! Many blessings to your new family!! Welcome to the beautiful world, Elodie!! Oh my goodness, she is beautiful! Thank you for sharing these lovely photos. Congratulations to you and your husband! Can't wait to hear your story and see more of your wonderful pictures! She is absolutely beautiful. Congratulations!!! Congratulations Aura & Michael!! She is so beautiful!!! May she have a healthy, happy & a content life among her many loved ones! Well done ~ What a beautiful welcome to her .... she is beautiful. Thanks for sharing her so generously! She is SO beautiful. What a head of hair! Congratulations! She is gorgeous.... simply perfect. Congrats! Elodie is a beautiful name, too. VERY WELL DONE, mama! xoxo. congratulations! what a precious little angel!! I am so happy for you two...I'm sure you just stare at her all day long...ENJOY your beautiful new daughter! Aura Congratulations! She is beautiful! How great to share a birthday! oh what wonderful joy to fill in your home! she's perfect! congratulations! Congratulations! She is truely beautiful! And I love her name! she's gorgeous :) And she has such a beautiful name. I can't wait to read your birth story! Congrats, momma. CONGRATULATIONS! She is gorgeous! And she's going to have the most beautiful photos to document her whole life! How precious! Oh my goodness, Aura, she's beautiful. She's perfect. Sweet girl. Congratulations. My breath caught when I checked your blog this morning, and I saw the title. My eyes were full with big happy mama tears. She's beautiful. These pictures are just wonderful. CONGRATULATIONS!!! I know there are not words to describe all the emotion and joy that come along with bringing your little one into the world for the first time. All blessings and love to you and your precious family that joyously turned from 2 to 3. Can't wait to hear more of your precious story. Congratulations on your healthy and beautiful baby girl! I wish you and your family health and happiness. congratulations! she is so beautiful, my eyes teared up when i saw this post. Love the name! can't wait to hear more about it. Congratulations on your healthy and beautiful baby girl! Lots of health and happiness to your family. Absolutely beautiful. Congratulations to you and yours. warm wishes for the path ahead. So beautiful, you are so blessed. Enjoy every single second. Is her name pronounced E-Lodie or El-odie? I googled the Farsi reference does it mean "melody"? Its a beautiful name! She is absolutely adorable! and that hair, gorgeous! Congratulations! Enjoy these days, time flies much too fast. Oh Aura...she is absolutely beautiful. Isn't your heart just bursting with joy right now? 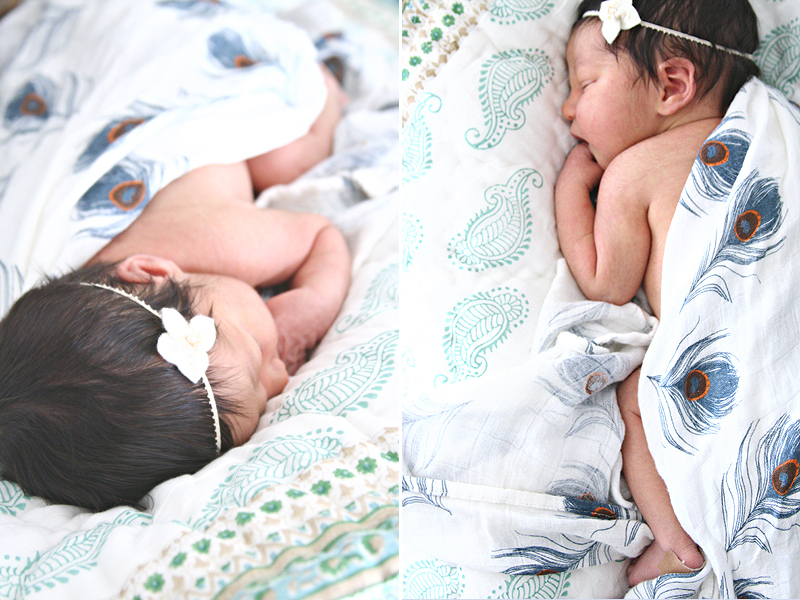 Savor these first moments with your baby girl- they go by so quickly. Welcome to the "mom club"- you are going to be amazing! Congratulations!!! She is so beautiful! And what an awesome name!! I have been reading your blog for several months and its been amazing to read about your journey into motherhood. Take care and enjoy!!! Aw. So much brown hair!! Elodie Neda~such a beautiful name. I hope you tell us about choosing this name for her. She's beautiful. Enjoy this time! I've got no words... she's she's even more than beautiful! It's so funny, I started reading your blog yesterday, saw so many gorgeous pictures and posts about the baby... I feel very happy for you! She's gorgeous and the pictures are great! All the best!!! Congrats to the new family - Bless you all! congrats you guys! she's absolutely perfect! Such beauty from a tiny little girl! Conrats to you. Soak up all that she is! So much hair!! She's absolutely beautiful! I love her name! CONGRATULATIONS!!! Congratulations Aura! She is absolutely beautiful! I've been checking your blog every day to see if she arrived... This post made my day. She's absolutely beautiful! Congrats! congratulations on your new little bundle of love! Oh my goodness. She's just beautiful. Congratulations! Congratulations! She is beautiful and simply amazing. Enjoy every minute! Oh my, she's gorgeous! Look at all that hair! My heart leaped when I saw your new post (i've been checking everyday). Congratulations. ahhhhhh congratulations!!! she is stunning - i love the hair!!!! Congratulations Aura! She is so beautiful. I wish all the best to your family. Biggest congratulations to you and your hubby. Cheers to a beautiful journey for your family! i can't believe all the hair on her head! Precious. Good luck and good job!!! She is unbelievably precious. Such huge congratulations to you; enjoy the babymoon! I must say, that's a very beautiful newborn. If you hadn't put the date she was born I would have figured she was 2-3 weeks old. Congratulations! She is SO beautiful! 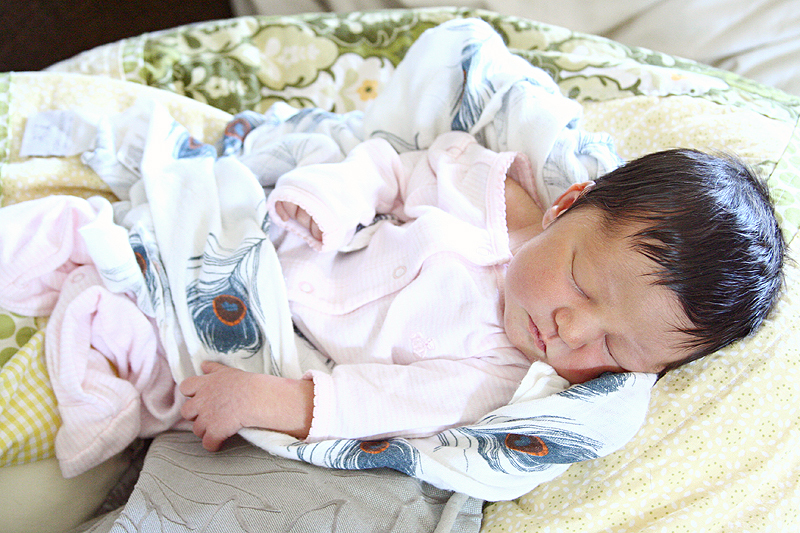 Welcome, welcome, sweet Elodie -- and congratulations, Mama and Papa!!!! She is beautiful. Look at that hair!!!!! Can't wait to hear your story about her arrival. Congratulations again.... so happy for you. There truly is no happiness like a parent's joy in their child. oh my, the little bird has landed :) isn't she lovely? enjoy these first days - they will fly by. . .
hope you're healing and resting well. congratulations on your bestest creation. you two sure know what the heck you're doing! 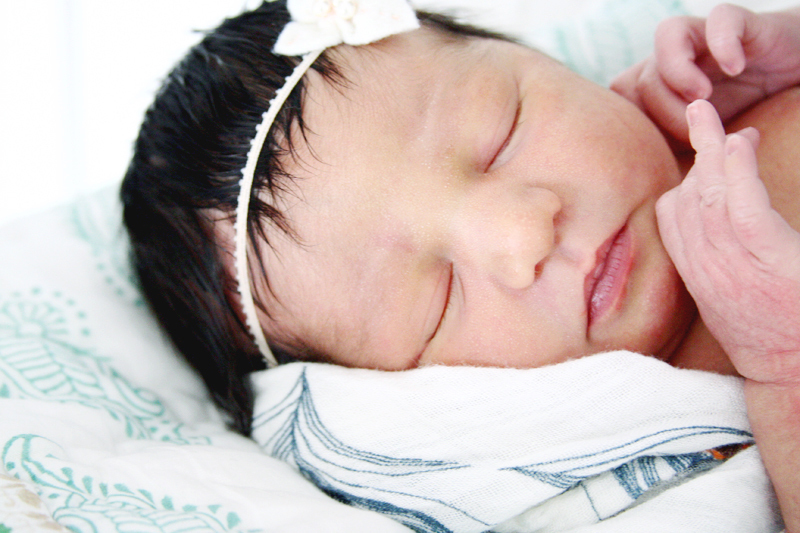 Congratulations on your beautiful baby girl! She is a doll. Enjoy every second. I've known of your blog for weeks now and have thoroughly admired your work and perspective in life, so much so that I am wanting to name our little one (expecting first week of June) after you! I love your name! Anyway, I just wanted to say congratulations on your beautiful baby! She is very lucky to have such a wonderful mom like you who clearly holds such a positive outlook in life! Enjoy motherhood! I have been growing bigger in the tummy with you. Your daughter is beautiful, and I am so happy that you are encountering such blessings. - Your little doll is an angel- and she is precious beyond words. What beautiful hair.. so perfect they are.. little babies. I am so excited for you! She is so lovely. I cannot get over her little toenails! Thanks so much for showing these lovely shots of her ;). AHHHH...she's beautiful! Really, very so happy for you, you must feel so blessed. I can't wait to hear her birth story. Welcome to the world baby! ooooh congratulations, what a lovely girl& nice pictures! Oh she is BEAUTIFUL! Congrats! congrats, she's of course stunning and so pleased you are already home! 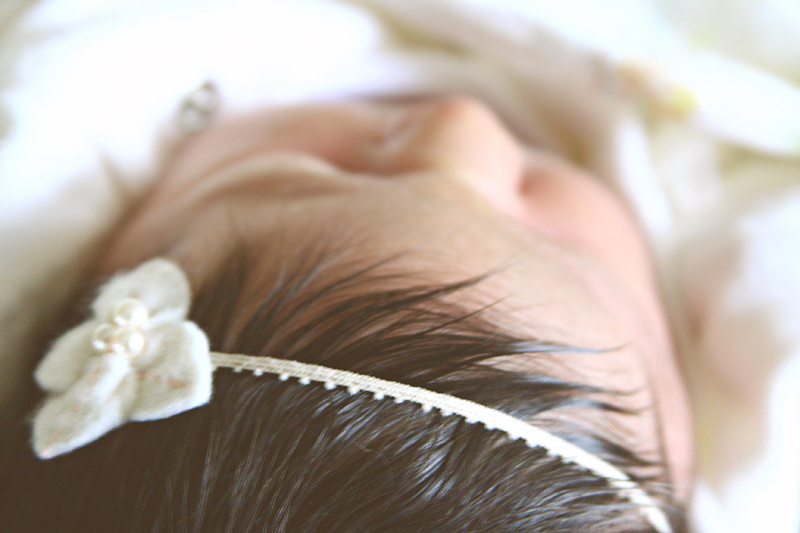 Congratulations on your healthy beautiful baby - and what a head of hair. She's lovely - enjoy all your nesting time together. Congratulations!!!! She is beautiful!!! I am in love with her name. Congratulations a hundred times over! I have no doubt this little comment will get lost in the mix of all the others, but I had to take the time to tell you that your daughter is incredibly beautiful. It's so magical to have followed your journey through pregnancy here, and now get to see the result. Beautiful, just beautiful. Congratulations. She is as beautiful as you. Oh, she is so beautiful! Congratulations! Congratulations!!! She is gorgeous! I ADORE her shiny dark hair and plump little cheekies! She is beautiful beyond words. Congrats! Congrats Aura! Welcome little elodie. 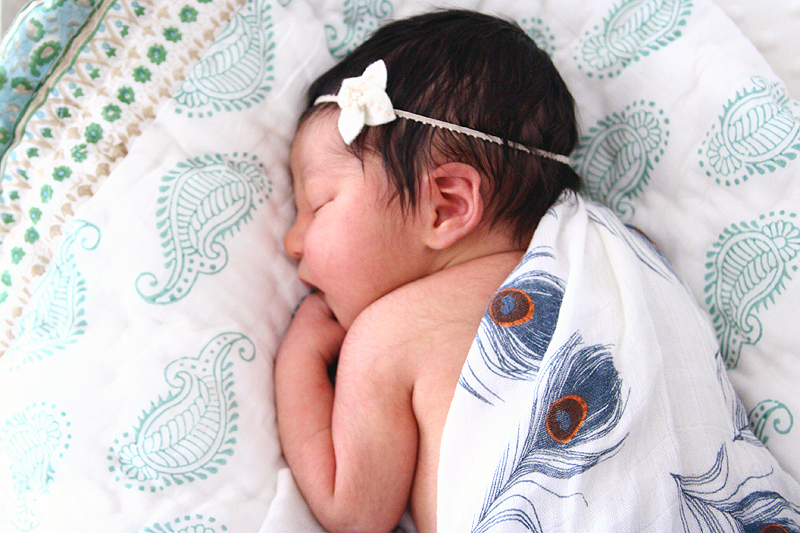 My friend's first born has the same name - so pretty! Oh my gosh! How wonderful! She's absolutely beautiful! Love her name as well. Congratulations to you and your family! Congratulation Aura & Michael!! She is sooooo adorable. ahhhh look at those cute little toes. Enjoy every moment and looking forward to reading more. Oh gosh AURA! This brought a tear to my eye. She's beautiful. Congratulations, Aura and Michael!! 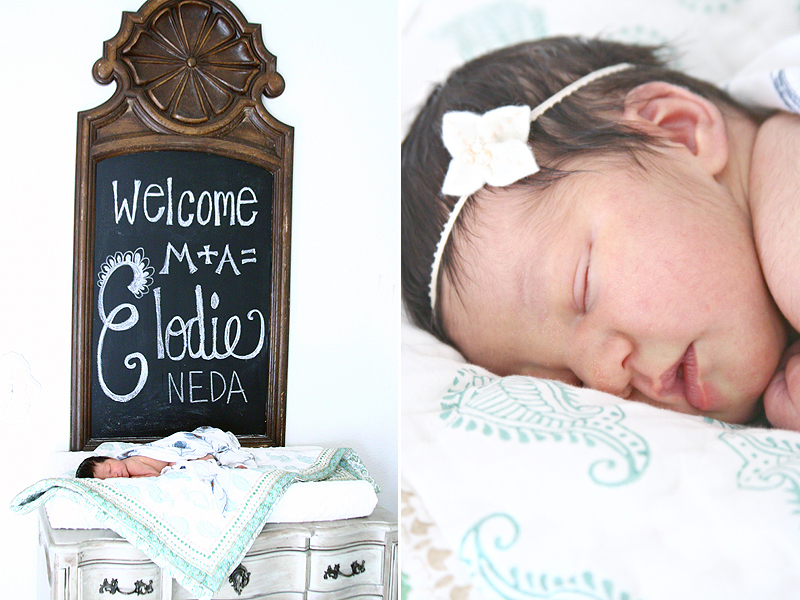 Welcome, Elodie! Hello Baby Elodie! You are the perfect combination of both your parents -- make sure you spend a lot of time giving them sweet baby kisses and smiles (it will make them melt!). She's so lovely. Huge congrats. Is "Neda" in memory of? Makes me cry reading the name Neda...so special. Do you want to read along? Susbscribe here.